Home / Health Insurance Company Reviews / S.USA Health Insurance Company Inc. The review is for the S.USA Health Insurance Company Inc. 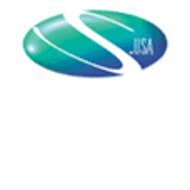 Known as the S.USA Life Insurance Company, Inc. is part of the SBLI USA Mutual Life Insurance Company, Inc. SBLI Mutual Life Insurance Company provides life insurance products to individuals and families in the United States. However, neither S.USA Life Insurance Company, Inc. nor the SBLI USA Mutual Life Insurance Company, Inc. offers any type of health insurance. SBLI USA Mutual Life Insurance was founded in 1939, and began expanding its financial services throughout the 1990s. At one point, SBLI USA Mutual Life Insurance Company had more than 15 different insurance companies as affiliates. In 2000, the company merged all the subsidiaries to form what is now SBLI USA Mutual Insurance and S.USA Life Insurance Company. SBLI USA Mutual Life Insurance has nearly $15 billion in premiums and $1.5 billion in total assets. The S.USA offers several different life insurance products, but does not offer any health insurance products for businesses or individuals. In addition, S.USA Life Insurance Company and the SBLI USA Mutual Life Insurance Company, Inc. offer financial products such as annuities. The two different life insurance products that S.USA Life Insurance Company, Inc. offers include whole life insurance and term life insurance. Whole Life insurance can also be considered a permanent insurance policy in that it provides coverage for an entire lifetime. As long as the individual pays his or her premiums on time, the coverage remains in effect. In addition, Whole Life Insurance offered by S.USA Life Insurance Company can build up and accumulate a cash value over a certain period of time. When this amount increases, policyholders can either borrow against the amount or cash it out and close the policy. Term Life Insurance is set for a specific amount of time, and is best for an individual that wants to provide coverage for certain important life events. For example, a 20-year term life insurance policy can be taken out to cover the expenses associated with college or a home mortgage. As a reminder, neither S.USA Life Insurance Company, Inc. nor the SBLI USA Mutual Life Insurance Company, Inc. offers any type of health or medical insurance. Individuals who are looking for health insurance must call a different insurance carrier or ask their insurance agent for advice. The SBLI USA Mutual Life Insurance Company, Inc. is rated B (Fair) by the A.M. Best Company, but was recently downgraded and has a negative outlook. There is no listing of SBLI USA Mutual Life Insurance Company or S.USA Life Insurance Company on the Better Business Bureau website. There are several reviews for S.USA Life Insurance Company from individuals, and the majority of them are positive. Comments include the friendliness of the customer service representatives, responsiveness of the company, and the ease of getting complete life insurance coverage. The S.USA Life Insurance Company, Inc. has various information about career opportunities at the company as well as general information about working for a living. There are direct links to the job openings at the four different customer service centers in Chicago, New York, New Jersey and all other locations for S.USA Life Insurance Company, Inc. The links are only available by searching for jobs in the search box on the home page. There are no current listed open positions with the company, as all the career links go to a blank page on the website. There is a link on the homepage to education articles, and several of them focus on careers and following a proper career path. However, there are no articles that are specifically about S.USA Life Insurance Company, Inc.